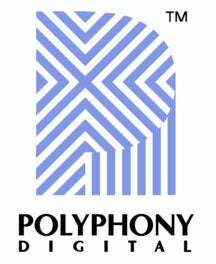 What To Do With Polyphony Digital? Let's play a game. Imagine you are not you. You are, instead, Sony Computer Entertainment boss Kaz Hirai. And you have a dilemma on your hands. See, you are part of a massive corporation that for years now has been bleeding money. Meaning across the board, Sony has had to cut costs, trim the fat and find more competitive ways of doing business. Sony Computer Entertainment itself is not excused from this, as witnessed by the "slimming down" of the PlayStation 3 in 2009. Now imagine that, with hardware sales finally beginning to show signs of sustained success, you shift your focus to the software side of things. To Sony's development studios. See how they're all shaping up, whether any fat can be trimmed from there (remember, this is hypothetical; to the best of our knowledge, Hirai isn't actually doing this). You don't get very far down your list before you hit Polyphony Digital, developers of the Gran Turismo series. Where there are, next to the polite list of "pros", several large bullet-points in the "cons" section, all of them in very red pen. No console Gran Turismo since 2004. A PlayStation Portable game that went from system-seller to vapourware to disappointment. A single game (Gran Turismo 5) that has been almost six years in development, has cost a reported $60 million (and counting!) and has just been delayed. Again. As a man who has a long history with the PlayStation brand, you may think Polyphony is untouchable. That the studio is inseparable from the glory days of the company's gaming division. That regardless of how long Polyphony spends finishing it or how much money is sunk into Gran Turismo 5, it will be a successful game. That it's hard-line realism and gorgeous graphics will serve as the ultimate showcase for the PlayStation 3. Then again, you are, at the end of the day, a man with a business to run and a bottom line to think about. You're aware that the driving sim is a genre in decline. That those titles remaining in the field have reacted to this and now focus on the raw thrills of driving, rather than the tedium required to master a simulation. And you are reminded that Gran Turismo's only real competition, the Forza series, has managed three full (and reasonably successful) titles in the time it's taken Polyphony to release barely half a game (Gran Turismo 5: Prologue). Consider all of the above, and answer this: how much longer do you keep giving these people money to sit around perfecting door-knob models and hard-road suspensions? As much time as they need? Do you start implementing some hard deadlines? Or do you go a little extreme and cut them loose?